Image of a galaxy couple in the constellation Canes Venatici - right "under" Ursa Maior. 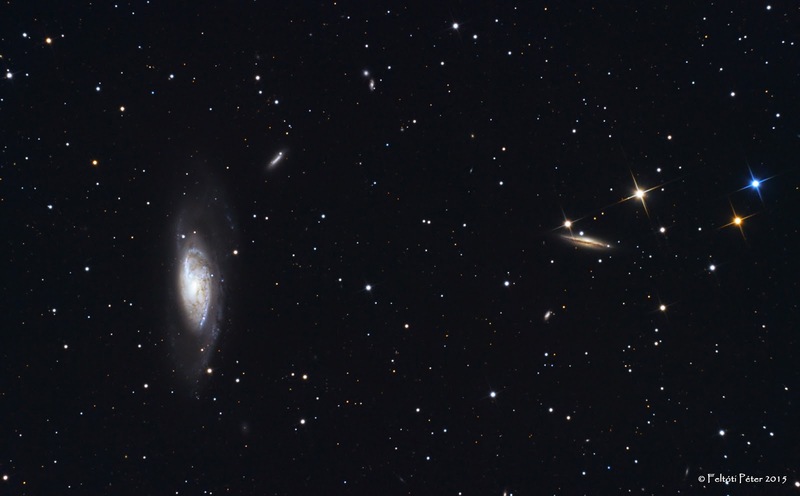 The bigger is Messier 106 the smaller on the right is NGC4217. They are thought to be a pair, holding each ohter's gravitational hands.